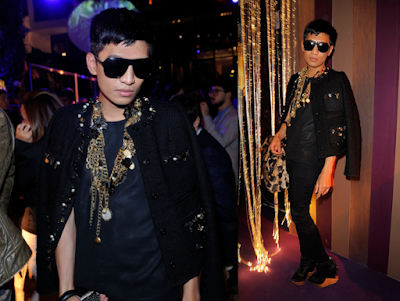 I'm a big fan of Bryanboy - Filipino fashion blogger who took the blogosphere by storm few years back. In the past year he has literally exploded, with Marc Jacobs designing a Bryanboy bag and him rubbing shoulders with fashion editors at practically every fashion show. But what I love the most about this Filipino prodigy is A. his extensive handbag collections (super jealous) and B. his witty sense of humor. You can't help but laugh out loud at his posts. Behind all his flamboyance the guy is one sharp character. I highly recommend checking out his blog. There is tons of video coverage of september Fashion Weeks. NOTE: unless you want your twitter feed to become Bryanboy's monologue, try to restrain yourself from following him on twitter.